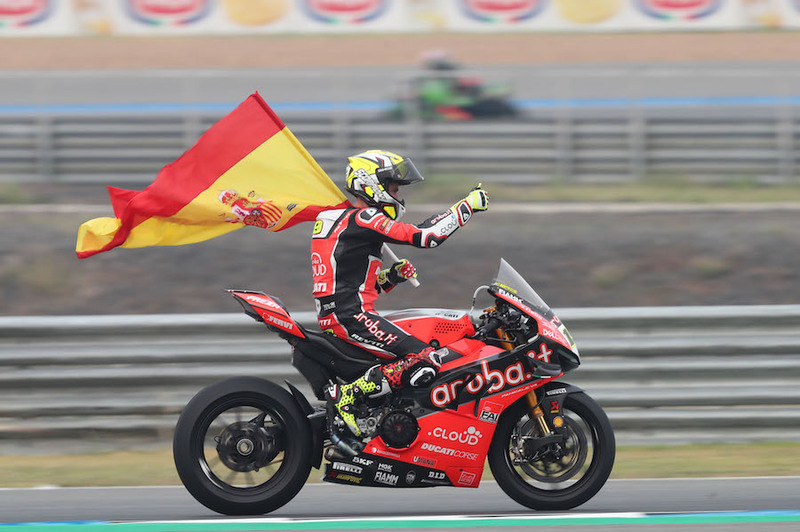 Alvaro Bautista (Aruba.it Racing – Ducati) and Jonathan Rea (Kawasaki Racing Team) fought out a closely contested WorldSBK opening race over the first ten laps, including a near-crash for Bautista in the early laps when Rea re-passed him on the inside of the hairpin and they made contact. 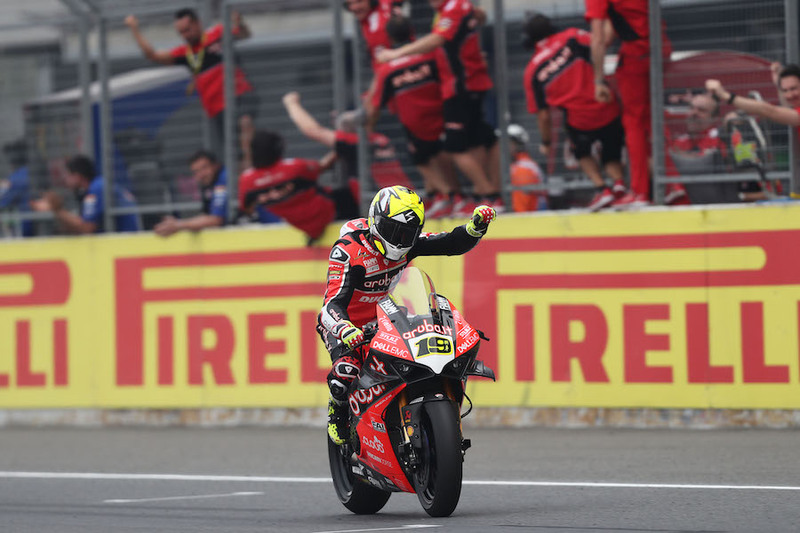 Bautista set a new lap record of 1’32.724 on lap nine as he escaped Rea, but running wide with six laps to meant Rea clawed back some ground on his rival. 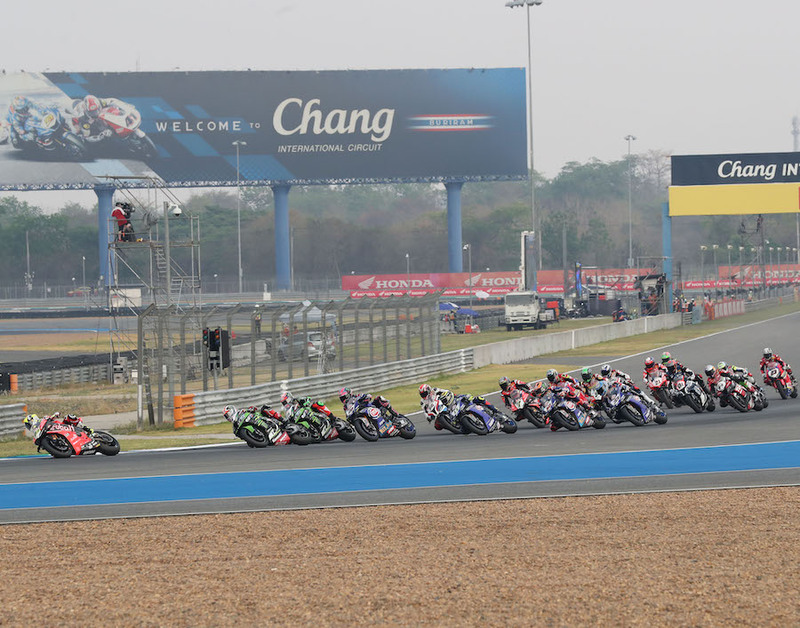 Bautista slammed in 1’32 second laps near the end to extend his lead over Rea again, as Rea slowed significantly near the end., finishing eight seconds down. 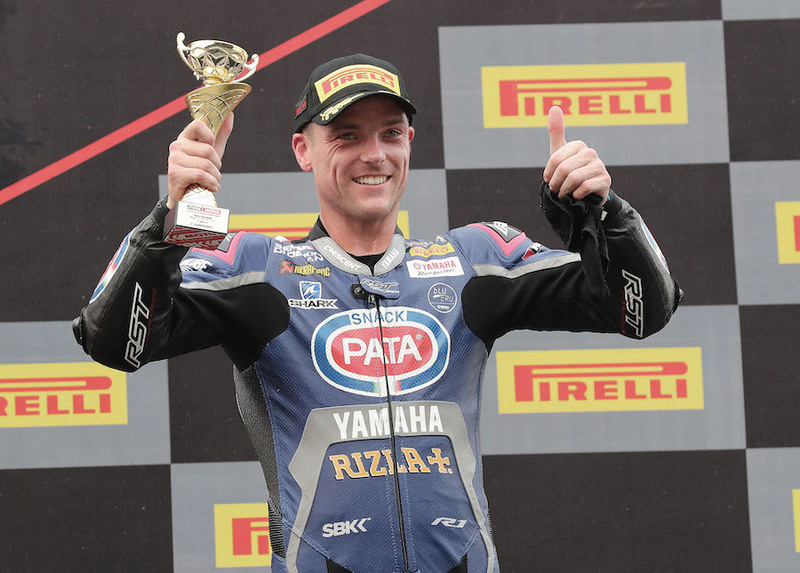 Alex Lowes (Pata Yamaha WorldSBK Team) and his team-mate Michael van der Mark battled for third place, with Lowes taking the podium. Leon Haslam (Kawasaki Racing Team) and Marco Melandri (GRT Yamaha) had a tussle for fifth, with Haslam winning out. Michael Ruben Rinaldi (Barni Racing Team Ducati) had a lonely ride in seventh for a time but rookie Superbike rider Sandro Cortese (GRT Yamaha) caught him before the end, taking the seventh place off him. Tom Sykes (BMW Motorrad WorldSBK Team) had a blinding start to go fourth from his sixth place grip spot, but dropped back to finish ninth. 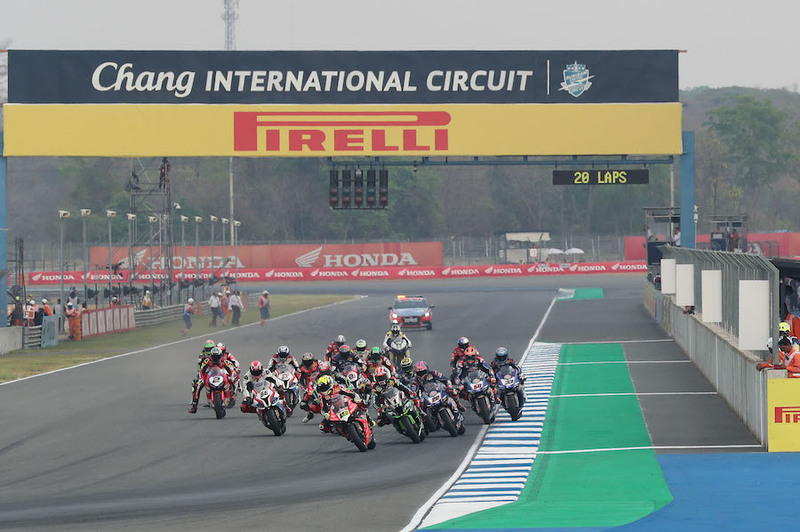 A four-rider fight for tenth place saw Toprak Razgatlioglu (Turkish Puccetti Racing) lead Jordi Torres (Team Pedercini Racing Kawasaki), Leandro Mercado (Orelac Racing VerdNatura Kawasaki) and top Honda rider Leon Camier (Moriwaki-Althea Honda Racing Team). 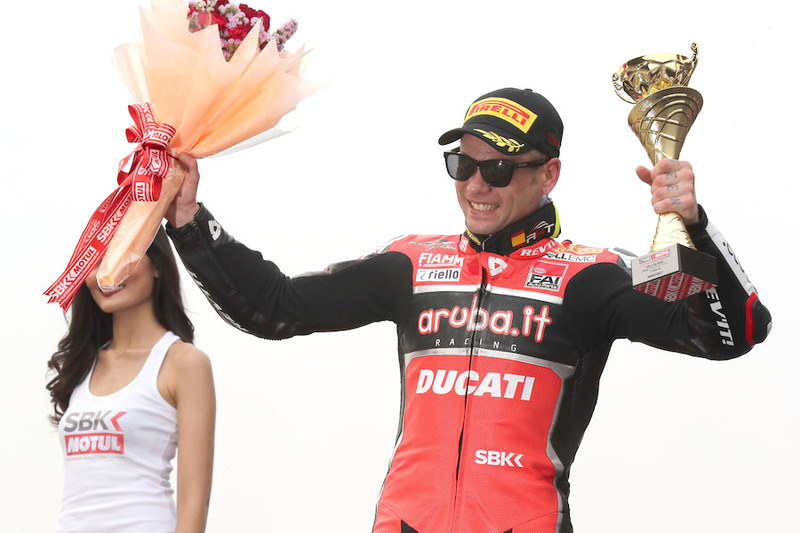 Chaz Davies (Aruba.it Racing – Ducati) crashed out but got going to score a point in 15th place.